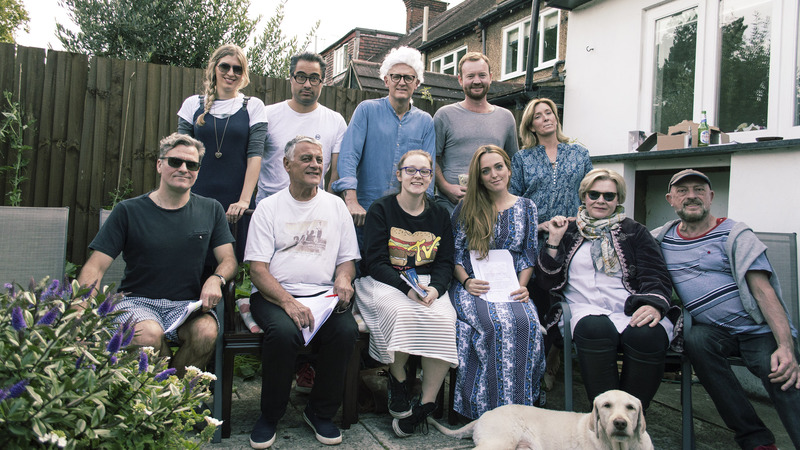 Theatre West Four | Come and join Chiswick's premier theatrical group! This entry was posted in Events, News, Productions on September 19, 2018 by fredmauwer. Firstly, thank you all for voting. Given the record level of participation, the committee made a decision to forward plan the May 2019 production. Therefore, the play that was runner-up will be nominated for the May production. It was a close race with Sylvia’s Wedding becoming the eventual winner. The runner up was Blast from the Past (New Writing). Auditions for Sylvia’s Wedding will be held on Thursday 6th September 2018 at 7.30pm at the Friendship Club, Oxford Road North, London W4 4DN. Scripts will be available at the audition. The play will be directed by Hazel Colllinson. Gordon proposes to Sylvia, after ten years of courting, and throws his family, and Sylvia’s into turmoil. Joyce and Vic, Sylvia’s parents, are hardly the sort of people Gordon’s pompous father, Stanley wants his family connected with, and Vic feels much the same in return. Sylvia’s best friend, Yvonne, isn’t much help either-as she’s all to ready to deflate Sylvia’s joy with her cynical, world-weary comments. Against the odds, the two warring families co-operate in the wedding preparations and all looks set for success- but fate intervenes. If you wish to audition but cannot make this date please get in touch with Hazel on 020 8248 6615. We look forward to seeing as many as you as possible. This entry was posted in Auditions, Events, Meetings, News, Upcoming on August 8, 2018 by fredmauwer. We will be holding 2 workshops on 21 and 28 June 2018 to give people the opportunity to try their hand at directing or acting scenes from plays or to bring in any piece of new writing they would like to try out. We will be looking at scenes from plays likely to be put forward for our play selection meeting. Please could you circulate the details below to any family, friends, colleagues and acquaintances who might be interested in coming to any of these workshops and also add to your Facebook page. I have also added the workshop notice as an attachment to this email. Come and have a go at directing or acting scenes from plays or maybe you might have a play you have written and would like to try it out with a director and actors. We have opportunities available for directing and acting as well as the possibility of new writing being performed in a theatre espousing professional standards. We have 2 productions, in May and November, every year at the Questors Theatre in Ealing. We aim to have one new play performed a year. We will be holding workshops on Thursday 21 June and Thursday 28 June 2018 from 7.30pm-9.30pm open to all, at our rehearsal hall at The Friendship Club, Age Concern, Oxford Road North, Chiswick, London W4 4DN. If you have scenes from a particular play in mind, please bring along sufficient copies of the script. We will also be looking at scenes from plays likely to be put forward for our play selection meeting. So, come along, give it a go, have fun and meet new people. This entry was posted in Events, Meetings, News on June 4, 2018 by fredmauwer. Rehearsals are going apace for She Stoops to Conquer and the show promises to be an exciting and unusual interpretation of the play. This entry was posted in Events, News, Upcoming on October 17, 2017 by fredmauwer.